Volvo chief designer Thomas Ingenlath says the new XC60 "is such a big step when it comes to the improvement of a winning concept." 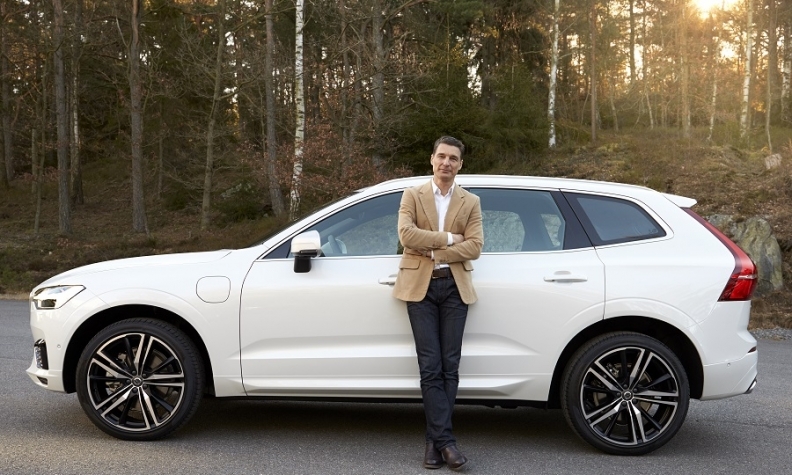 Volvo chief designer Thomas Ingenlath knew that creating a successor for the Swedish brand’s best-selling XC60 would be challenging. He needed to preserve the features that convinced nearly 1 million people to buy the first-generation car while still pushing to reach a higher level. Ingenlath said that he and his team considered how the new SUV relates to the old one. “But during the time of creation you have to forget about all of that,” he added. His overall assessment of the new XC60? What could have gone wrong was a misstep in the styling of the new SUV’s larger sibling, the XC90. Ingenlath admits that had Volvo stumbled with the XC90 -- the vehicle Volvo bet the company’s future on after being sold by Ford to Zhejiang Geely Holding -- the ripple effect would have been disastrous.